The Training Logbook has been developed to meet the requirements 6.6, 6.8, 6.9, 6.10 of the National Standards for Licensing Persons Performing High Risk Work. 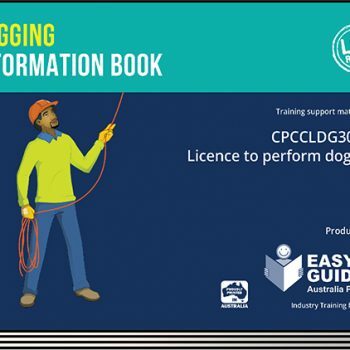 The logbook provides a method of recording the experience a trainee gains while undertaking normal work duties or training. A brief description of the training plan and recording of trainee, RTO and employer information are single page once only entries saving time on repetitious recording of details. 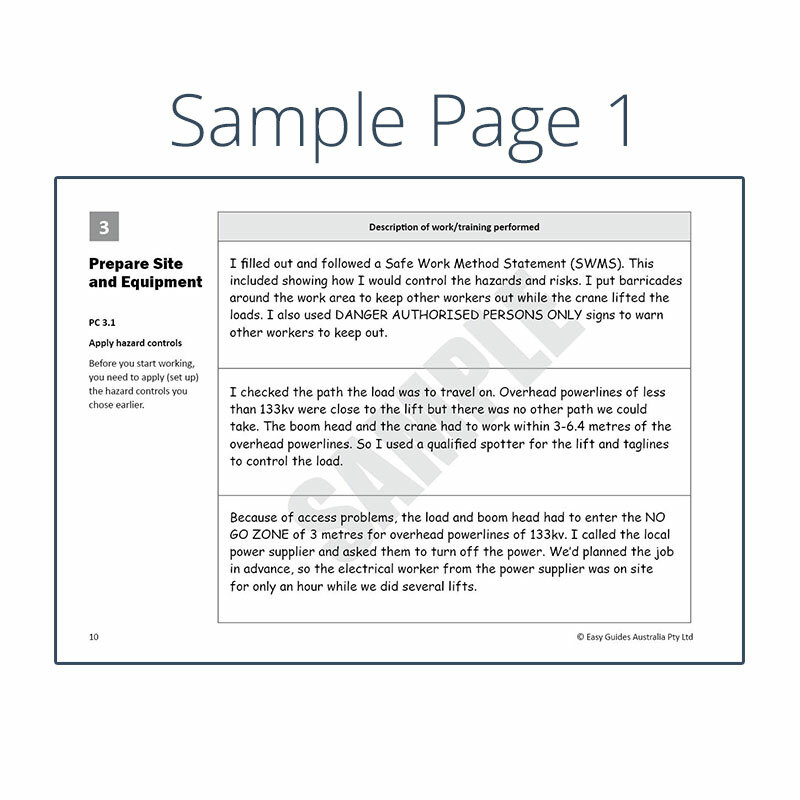 The logbook provides details of the elements in the unit of competency and the performance criteria. It also provides supervisor details and signatures for endorsement of date, time, hours of engagement in the task and the equipment used. 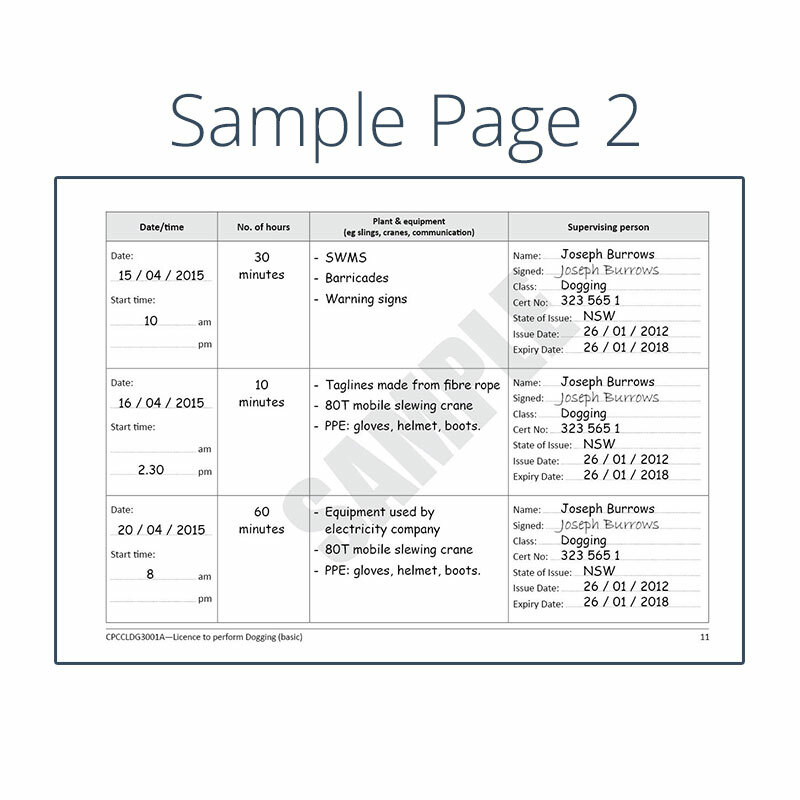 Categories: Dogging, High Risk Licence Logbooks. * All prices include GST. Prices subject to change without notice. © Easy Guides Australia Pty Ltd, All Rights Reserved.